Microsoft Office 365 is Microsoft’s monthly subscription for office software. We’ll look at a couple Microsoft 365 options for small businesses and break down the cost and features available. Traditionally, Microsoft Office has offered software such as Word, Excel and PowerPoint. For a long time, this would have been purchased on a disc for a few hundred dollars and installed on your computer. Today, Office 365 Business lets you pay a monthly fee ($8.25/month) instead of making a one-time purchase. On top of getting the programs installed on your desktop, you also get access to online versions of Office programs, including Word and Excel. And with Office 365 Business Premium ($12.50/month), you also get a professional business email system that includes your custom domain, as well as other features for web conferencing and collaboration. 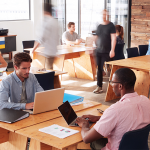 Office 365 Business is similar to the traditional Office desktop suite. Both products give you the latest software installed on your computer (Word, PowerPoint, Excel, Outlook & OneNote). With Office 365 Business Premium, you also get bonus features such as business email, and you pay a monthly fee ($12.50) instead of the $230 upfront cost. Business Email featuring your own custom domain. You get an ad-free inbox, generous 150mb limit for message attachments and shared calendars to use between you and your employees. HD Video Conferencing with screen sharing and instant messaging. 1.5 TB of storage per user, for documents & emails. 5 Licenses per user. Each user can install the desktop programs on up to 5 different computers. Mobile Apps for Word, PowerPoint, Excel, Outlook. Available for iOS, Android and Windows Phone. There are mobile apps available for free, although they have limited features. The free Word app, for example, does not let you work in landscape orientation. It also has limited formatting options and no Word Art. 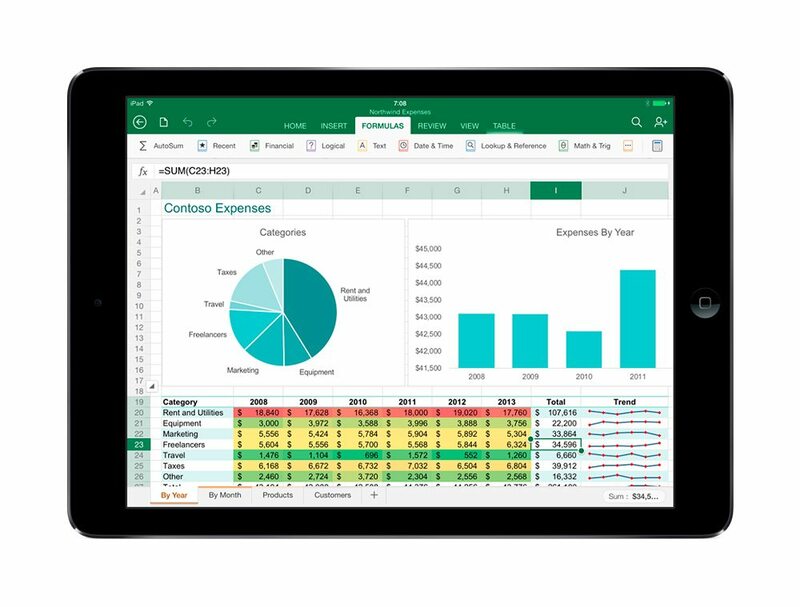 The Excel app has limited controls for Pivot Tables and the PowerPoint app does not include Presenter View. 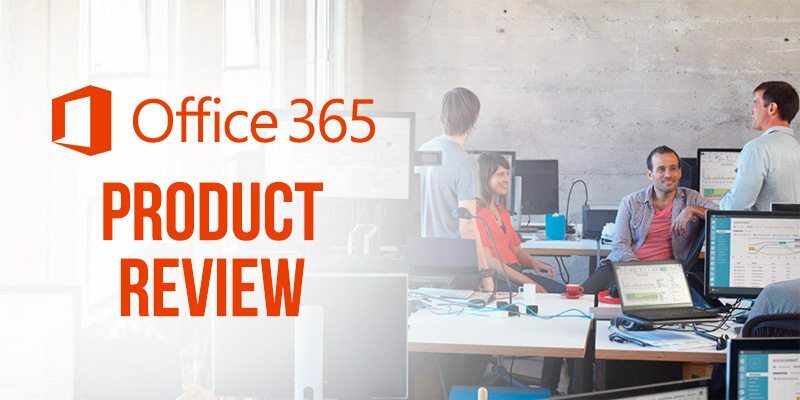 With an Office 365 subscription, however, you get all of these features. As a subscriber to Office 365 for small businesses, you get the latest desktop software as soon as it’s released. You never have to pay for an upgrade. By contrast, without an Office 365 account, you have to pay in order to upgrade to each subsequent release ($230 or more). Now, Microsoft releases a new edition of Office every 3 years. So in the long run, buying the product upfront can be cheaper than subscribing: $12.50 x 36 months = $450 vs. $230 one-time purchase. However, only with a subscription to Office 365 Business Premium do you get the bonus features listed above, including Business Email, 1 TB document storage and mobile apps. Click here to purchase. One of the major perks of subscribing to Office 365 Business Premium is that you get a professional business email system. What this means is you can create email accounts for you and your employees that feature your small business website’s domain. For example, if your domain was www.lcrlakegaston.com, you could create the email address Tim@lcrlakegaston.com. Setting this up is a simple process. The only tricky part is that you need to prove the domain belongs to you before you can start using it as your email address. If you registered your website with GoDaddy, you can do this all from your GoDaddy account menu (explained here.) For other domain services, you’ll need to enter a short passcode (known as “TXT record”) provided by Office 365. This video from Microsoft explains the process. In addition to mobile apps for Android, iOS and Windows Phone, Microsoft offers browser-based versions of their Office programs. You can use a simplified version of Word, PowerPoint or Excel from your web browser. Along with the convenience of being able to work on your documents from any internet connected computer, the online apps let you collaborate with other users. You can invite multiple people to view or edit a document at the same time. Edits are made in real time, so you can see as another user is typing. Although the online apps are available for free, you get extra functionality by using them alongside the desktop versions. By default, the online apps save files to OneDrive – Microsoft’s cloud storage service. The desktop programs, likewise, have a feature that automatically backs up your documents to OneDrive. So if you’re working on a spreadsheet on the desktop, then get called out of the office, you can easily pick up on the same spreadsheet from any device. Likewise, if you’re working on a document online you can click “OPEN IN WORD” and immediately switch to the desktop program. This can be very helpful if, say, you’re about to head out on a flight and want to keep working without relying on an internet connection. The online apps can function with a spotty connection, but not if your internet connection is gone completely. In Word Online, you cannot run macros, edit footnotes/endnotes or create shapes, equations, text boxes, symbols or WordArt. 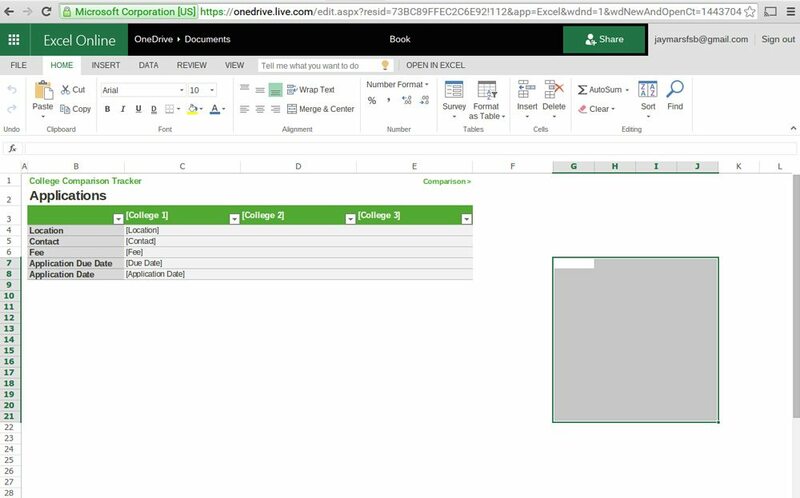 In Excel Online, you have limited graphing functionality. In PowerPoint Online you cannot embed audios or videos, there’s few animation effects and there’s no “Presenter View” to see your notes while giving a presentation. The desktop version, on the other hand, still carries all of these advanced features. So ifyou’re working online and need to add a text box or footnote, you can just click “OPEN IN WORD” and immediately switch to the desktop app without closing the document. The main edition of Office 365 is called “Business Premium.” At $12.50/month, it includes business email, Office desktop programs, Office mobile/online apps, 1 TB document storage, HD video conferencing and more. While this gives you the most bang for your buck, if you already have business email or you don’t need the desktop programs, you can save money by going with a lower tier plan. Subscription-based pricing is a relatively new idea for Microsoft users. 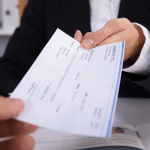 Although it can be a little more expensive over a few years than the one-time purchase, you get a full-on business system. Having business email with a custom domain, 1 TB online document storage per user and online collaboration tools would normally cost you heck of a lot more than $12.50/user/month. Office 365 is a great product. Outlook desktop client isn’t as nice. There is a free alternative to Outlook that is much nicer to use, called Hiri (www.hiri.com). I use it on Linux but it works on Windows and Mac too. Hi Dan, thanks for dropping in.